Is there a better place than the city of lights and love to get inspired by photography? These three major events in Paris should not be missed. 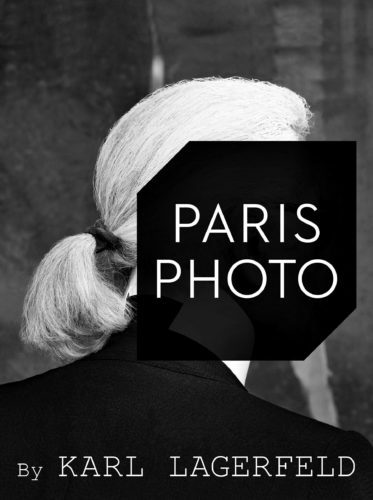 The world’s largest art fair dedicated to the photographic medium, presents its 21st edition at the Grand Palais, from 9 to 12 November 2017. 180 international galleries and art book dealers will offer a rich panorama, attracting as each year artists, collectors, professionals, renowned cultural institutions, experts and art enthusiasts from all over the world to discover the very best in photography, from vintage works and modern masters to the latest contemporary creations. This year the fair proposes a visit through the eyes of a personality of exception, Karl Lagerfeld. Visionary and cultural icon, he began working as a photographer in 1987 and has always been fascinated by the power of images and their evocative effect. By selecting his personal favorites, he will create a journey throughout the fair and the thousands of artworks. An original way for the public to contemplate the artworks, while discovering the aesthetic universe of Karl Lagerfeld. 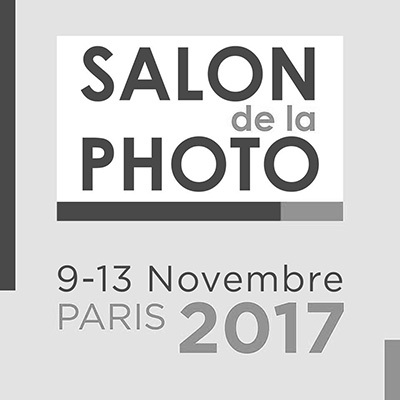 The Salon de la Photo is an annual event for photographers and photography enthusiasts, taking place from the 9 to 13 November at Paris Expo, Porte de Versailles. This event displays innovations and new products on the photography market. Presenting top world brands and covering cameras, picture editing, printing and image sharing, the Salon de la Photo offers an outstanding schedule including specially curated exhibitions, public presentations, opportunities to meet top photographers, workshops and discussions, as well as a popular retail village and bookshop. For its 10th anniversary, the fair presents two exhibitions by Sebastião Salgado, one of the great figures of contemporary photography and renowned for his powerful black and white images. One of them is, Dream Perfume, an exhibition of his unpublished photographs of the unknown and fascinating world of coffee plantation workers that he has been shooting since 2002, with the aim of showing the relationship between Man and Nature. Parallel to this exhibition, 40 photographs of Sebastião Salgado from the Collections of the European House of Photography will be presented, showing the evolution of his work, from the Americas (1985) to Exodes (2000), inviting the visitor to follow the magnificent journey of this artist committed to the great challenges of the world. The contemporary photography fair fotofever will return this year for its sixth edition to the Carrousel du Louvre from 10 to 12 November, with 80 international galleries presenting 150 emerging artists. The fotofever contemporary photography fair was founded in Paris in 2011 by Cécile Schall, granddaughter of the renowned French photographer Roger Schall, as an independent project with the aim of promoting young photographers, while at the same time providing the public with an accessible entry point for establishing a collection of contemporary photography. fotofever paris 2017 will also offer a support program for the photography collection, free guided tours, daily lectures and unpublished exhibitions, to encourage lovers of collectible photography. This entry was posted in PhotoFair, Photography and tagged All, Art, Event, Fair, Photography.